In our journey to the baptismal celebration at Easter, the Church provides us this day with some powerful Mass readings. 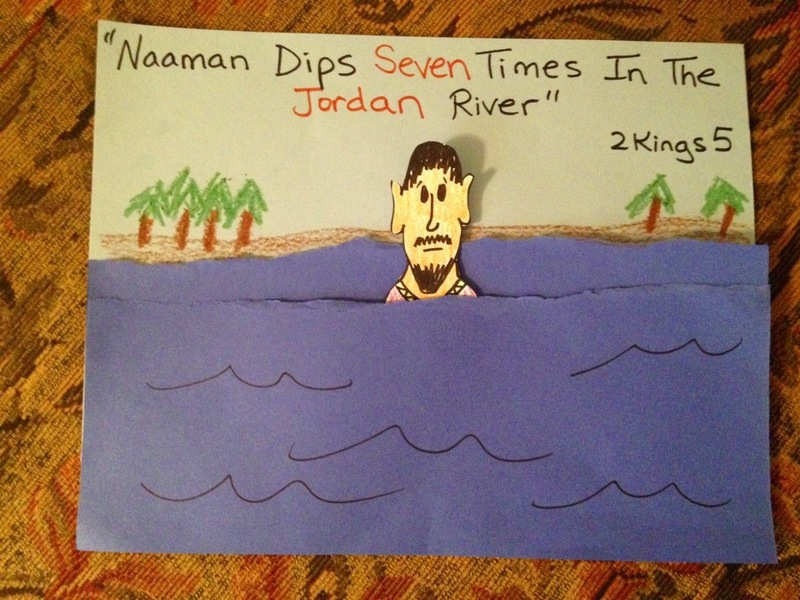 First is the story of Naaman - an “outsider” with leprosy - who was to humble himself and be washed in the Jordan in order to know the healing power of the Lord (2 Kings 5:1-15). Then there is the Gospel reading (Luke 4:24-30 ) in which Jesus - who came to bring savation to everyone - refers to the story of Naaman in order to show that “outsiders” are sometimes far more responsive to God than those who have grown up in the community of faith. As we continue to make our way through Lent, let’s examine OUR hearts to ensure that pride doesn’t prevent us admitting our spiritual illnesses, or being responsive to the Lord, who has so much love, power and healing to bestow upon us. 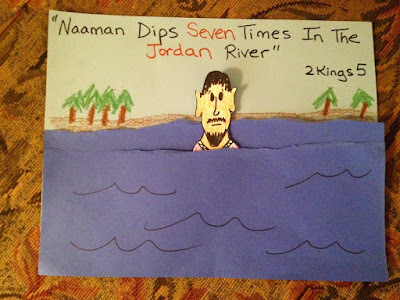 The river Jordan plays a very important role in the Bible. Before it becomes the river in which Jesus the Messiah baptized, it is revealed as the river which bounds the “Promised Land.” To cross the Jordan, for the people of Israel, was to enter into the fulfillment of the Lord’s promises. It was to enter the “land flowing with milk and honey,” the place where God would dwell with His people providing them with the endless blessings of His presence. In the New Testament, with it spiritual and mystical fulfillment of the Old, to cross the Jordan was to enter into the Kingdom of God, to experience the fullness of the life of the age to come. The fact that Moses was not blessed to cross the Jordan thus became a symbol of the fact that the Law by itself could not save Israel or the world. It had to be Joshua, which literally means Savior, and is the Hebrew form of the Greek word Jesus, who leads the people across the Jordan and into the promised land, thus symbolizing the saving action of the new Joshua, Jesus the messianic Savior, in the covenant of grace (see Joshua 1:12). When Joshua came to the Jordan the streams parted at the presence of God’s people, with the priests bearing in their hands the Ark of the Covenant. As the waters of the sea parted to allow God’s people to pass through as if on dry land at their exodus from Egypt, so also at the entry into the land of promise, the river of Jordan made way for God’s people to pass through into the place of their final destination (Joshua 3:11-13). The Lord also commanded Joshua to take twelve stones out of the river Jordan and to place them together in one place in a pile where the people had passed through, to remain “to the people of Israel as a memorial forever” of what the Lord had done for them (Joshua 4:8-10). After the people passed through the Jordan River, “the waters of the Jordan returned to their place and overflowed all its banks, as before.” (Joshua 4:18) This miraculous wonder became part of the living memory of Israel, and the event was celebrated in the worship of God’s people ever since. The psalms which recall the divine action are sung at the Church’s festival of the Epiphany as prefigurations of God’s final act of the salvation of all people in the death and resurrection of His Anointed, the Beloved Son who was baptized in the same Jordan streams. The river Jordan was also parted by the passage of Elijah and Elisha, an event also recalled at the liturgy of Epiphany. (2 Kings 2) And it was from the Jordan that Elijah was taken up into heaven in order to return again, as the tradition developed, to prepare the way for the coming of the Messiah. (See Mt 17:9-13) It was also in the Jordan that Naaman the Syrian was cleansed from his leprosy, a sign referred to by Jesus as a prefiguration of the salvation of all people, not only those of Israel. (Lk. 4:27) In the account of Naaman’s cure the special significance of the Jordan is stressed once again. Can we not be washed in just any river and be clean? God answers, No. Only in the Jordan, in the baptism of Christ, are we cleansed from all of our sins. Only through the Jordan do we enter into the land of the living, the Promised Land of God’s kingdom. Only by the sanctified waters of the Jordan does God sanctify us forever. Before Elisha’s mantle when Elijah ascended. So the wet surface became a dry path. By which we pass through mortal life. Christ has come to the Jordan to sanctify the waters. - Troparion of the prefeast of Epiphany. 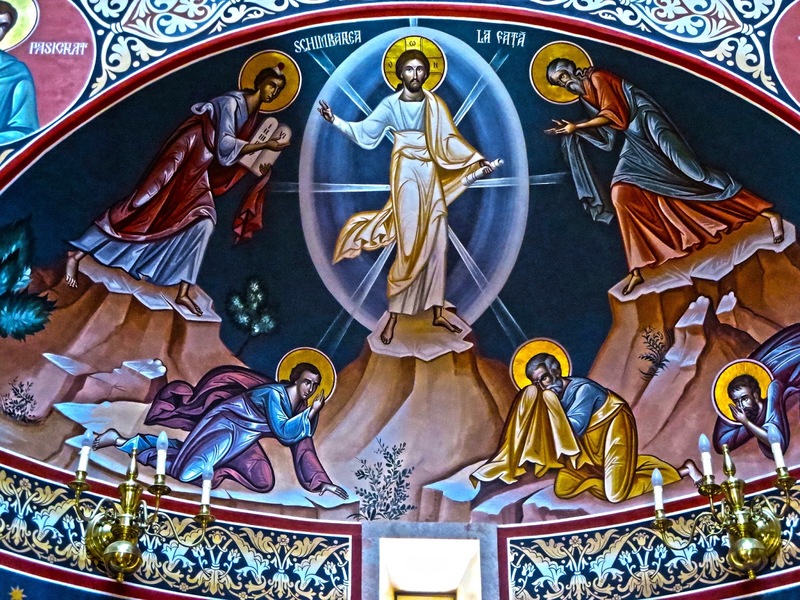 The Transfiguration is a “theophany”, a cosmic, earth-shaking manifestation and experience of heavenly glory right here in this world. A supernatural revelation of God. Of course, it is primarily something that happens to JESUS who had climbed the mountain that day to commune with the Father. We know that Jesus often went into a lonely place to pray. But his experience this day overflows into the lives of Peter, James and John, the inner core of the apostolic band. In the timelessness of that amazing moment they see the glory that Jesus had with the Father before the world was made (John 17:5), the glory he laid aside in order to become our Saviour, the glory with which he would be glorified in his cross and resurrection, the glory that he would one day share with all his people (Hebrews 2:10). But what does it mean? What is this “glory”? God most certainly wanted to do more than entertain the apostles with a sort of cosmic electric light show! What is this dazzling light? What is the cloud that “overshadows” them, from which the voice of God the Father says, “This is my beloved Son; listen to him”? (1) The people's experience of God in a luminous cloud and pillar of fire when he led them through the wilderness (Exodus 13). (2) The cloud descending powerfully on the newly finished Tabernacle (“Tent of Meeting”) in such a manifestation of God’s glory that Moses himself could not even go inside (Exodus 19). (3) The cloud of God's glory descending on the mountain at the giving of the law (Exodus 24). (4) Moses being hidden in the cleft of the rock as the cloud of God’s glory passes by (Exodus 33). (5) The dedication of Solomon’s temple when the people are praising and worshipping the Lord, and the cloud of God's glory descends, filling the temple area. So intense and powerful is this manifestation of God’s presence that the priests are physically unable to remain on their feet (2 Chronicles 5). On the mountain, Peter, James and John know they are witnessing and experiencing something very precious that has not been experienced in their people’s history for six hundred years - the SHEKINAH cloud of great glory. The top of that mountain is covered by the glory - the uncreated light - of God. They experience a further revelation of who Jesus really is. That’s why the episode is central to Christian believing, Christian worship, and the life of prayer. 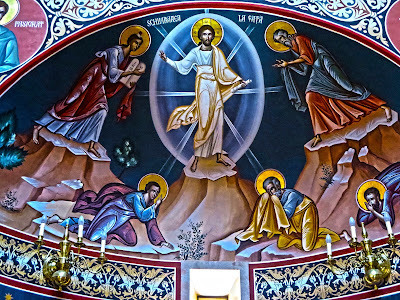 St Gregory of Nazianzus (329-390 AD) sees the transfiguration as a promise for the people of Jesus: “On the mountain he was bright as the lightning and became more luminous than the sun, initiating us into the mystery of the future” (Theological Orations 4.19). Many spiritual guides, especially from the Eastern Churches, encourage us to discern the light of Mount Tabor in our hearts and in the world around us. Somewhat mysteriously, the prologue of St John's Gospel speaks of Jesus as the true light that enlightens everyone who comes into the world (John 1:9). The Jesuit William Johnson reminds us that, as the people of Jesus, we “experience the inner fire of love,” that in Jesus we are “divinized through divine grace.” These things are all part of the same reality. In fact the word for “transfigured” in the original Greek of the New Testament is where the English “metamorphosis” comes from - you remember - describing the transformation of a grub into a butterfly. In today’s Gospel the word refers to the complete change in the appearance of Jesus . . . brighter than the light, revealing his true glory and identity to them. But the very same word is used in two other places in the New Testament in order to describe the change that is supposed to be taking place in our lives as we grow in him. Origen (185-254 AD) speaks of those who worship the Lord and seek to walk with him "in the light" being transformed by his glory: "When [Jesus] is transfigured, his face also shines as the sun that he may be manifested to the children of light who have put off the works of darkness and put on the armor of light, and are no longer the children of darkness or night but have become the sons of day, and walk honestly as in the day. Being manifest, he will shine unto them not simply as the sun, but as demonstrated to be the sun of righteousness." So it is that we gather on our Eucharistic Mount of Transfiguration Sunday by Sunday – and for some of us more often than that. We gaze upon Jesus, the Word made flesh, who continues to “tabernacle” in our midst in the Blessed Sacrament. May we continue responding to his Word, opening our hearts to his love and our minds to his truth, so as to be “changed from glory into glory, till in heaven we take our place . . . lost in wonder, love and praise” (Charles Wesley). 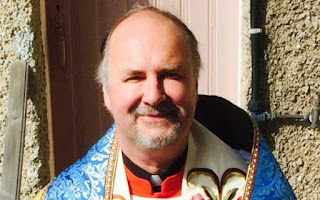 Dr Gavin Ashenden is the vicar of St Martin de Gouray in Jersey, the Channel Islands (just off the French Normandy coast), a Chaplain to the Queen and Canon Theologian at Chichester Cathedral. As a broadcaster he hosted a BBC Religion and Ethics show for 4 years (2008-2012), and presented the BBC podcast on Religion and Ethics. 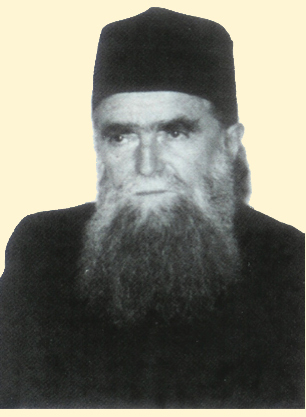 He is the author of a number of books and essays on the Oxford Inklings. This article was written for last Wednesday's Jersey Evening Post. It was the first time I had seen a ‘bunch’ of selfie sticks in action. Last Sunday, I was walking across Westminster Bridge on my way to St James’ Palace where I had my annual gig as a chaplain in the Royal Ecclesiastical Household, and I wandered into a crowd of Japanese tourists. We were all in the shadow of Westminster Abbey, which glowed in the early morning sunlight. It radiated ornate gold, textured with parapets and saints, slender fingers of stone pointing to heaven and wrapped in a complex beauty. It took my breath away – again – for the thousandth time. The tourists were taking pictures as well they might. But they all had selfie-sticks, and were turning their backs on the building to get their face in front of the stone, and impose it on the picture. I thought that they might take one or two photos like that and then turn round and take photos full on – without the selfie stick – but they didn’t. It seems Westminster Abbey was not beautiful enough or significant enough unless it had their face in front of it. Last week the headteacher of St Andrew’s Church of England Primary in Oswaldtwistle sent out a rather feverish tweet about evolution and the Bible (who knows what annoyed her - NEVER tweet when cross!). She was a bit clumsy in what she said, but tweeted that evolution was a theory and there was much truth in the Bible. She was jumped on remorselessly by clever people everywhere. Lots of them even calling for her resignation as clearly unfit to teach little ones at Primary school. She was technically right. Yes, evolution is still a theory, but it’s not just a theory. It’s the best explanation we have as to the mechanics of growth and development of living things down the millennia. There are also bits in the theory we don’t yet understand; but that’s not where the argument lies. She is also right that there is truth in the Bible. So why the outburst of rage? The first obvious thing is that they do different things. Evolution explains ‘how’ we think biology took the steps it did, but it is hopeless on ‘why’. In fact it’s worse than hopeless. The whole idea of survival of the fittest, when turned into a moral or ethical rule was exactly what drove the worst examples of racism, and especially the Nazi death camps. The Bible, a collection of books which include, poetry, history, prophesy, as well as moral exploration, claims that through them, God has whispered the ‘why’. What were the ‘how’ people doing getting so furious with a teacher who thought there was something to be said for asking the question ‘why’? I wondered it it might have something to do with the selfie-stick? The ‘how’ people have got used to the idea that knowing about the mechanics of everything saves them from having to ask further questions about the ethics. They are understandably proud of having discovered so much about how things work. But looking at the world in general, they behave a little like the tourists in front of Westminster Abbey. They take pictures of the world with their face at the centre. Having been clever enough to find out how things work – up to a point – they become our theories; Ideas, with our faces on them. But biology doesn’t really tell us enough. It might take us back to the time when somehow life was seeded on the earth – astoundingly clever, but what about before that? Where else in the universe did the life come from … and why? And is there any purpose to life apart from not being dead? Why do human beings need to find meaning, and become ill when they can’t? The ‘how’ of evolution doesn’t speak that kind of language. But the Bible does. It may be that one of the reasons for the vast number of anti-depressants our society depends on, is the absence of meaning in people’s lives. In the UK last year, 53 million prescriptions were dispensed, with 4 million people relying on them. We get ill when we experience our lives as being without meaning. Science, the study of ‘how’ is not equipped to talk this kind of language. But the Bible is all about helping us face the unease, or dis-ease of meaninglessness. Science and the Bible need each other. Science explains how utterly wondrous the world is. and what drives it. The Bible, telling us that we were purposefully designed for love, paints a picture of the mysterious face at the centre of it all – and it isn’t ours; – which is why, perhaps, the critics got so cross. And here is another book, one which I have ordered and not yet read. But those who know Geoffrey Kirk or who have read his articles in New Directions over a 20 year period will be eager to purchase WITHOUT PRECEDENT, if only to be to be resourced for engagement with well meaning people (lay and ordained) whose view of New Testament and early Church history has been conditioned by the kind of influences that lie behind Dan Brown’s novels! Retail Price: $21.00 (For special Web Price ($16.80 ) go HERE. WITHOUT PRECEDENT seeks to examine the arguments that, in the absence of serious academic contributions, have been advanced. In particular it looks at claims of ancient precedent for modern practice. What did Jesus think about women? Was Paul a misogynist or a feminist, a reactionary or a revolutionary? Does the role of Mary of Magdala, in scripture and tradition, offer any guidance (as many have claimed)? 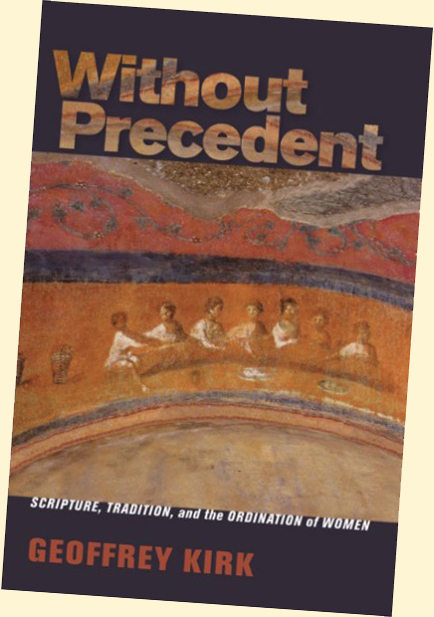 Were there female priests, and even bishops, in early Christianity? 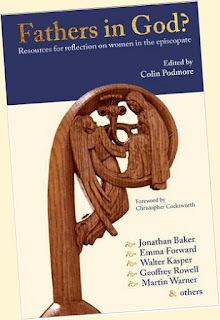 Back in 2004, the book CONSECRATED WOMEN, an initiative of Forward in Faith, was published by Canterbury Press. It contained a theological response to the direction of the Church of England’s General Synod with regard to women bishops, and a useful appendix of several resource papers cogently arguing the case against the ordination of women in general. 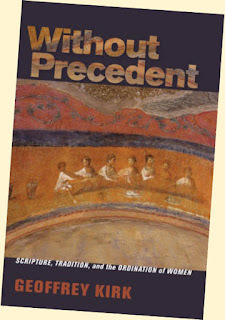 At the time CONSECRATED WOMEN was published, it already seemed certain that on the substantive issue, mainstream Catholics had lost in the General Synod. That's why the burden of the book was to argue the case for a jurisdictional structure within the Church of England for those who conscienciously held the innovation to be against the mind of the Church Catholic, of which the Church of England has always claimed to be part. The rest of CONSECRATED WOMEN was taken up with suggested detailed changes to Canon Law that would enable such a jurisdiction to become a reality. Subsequently, a strictly jurisdictional solution was rejected by the Synod. Then followed Pope Benedict’s creation of the Ordinariate for clergy and “groups” who left the Church of England. In 2012, the legislation for women bishops came into being, supported by the five “declarations” which include a kind of provision for parishes and clergy who would otherwise feel that they had been “unchurched.” Subsequently, Forward in Faith, the Bishops of the Society of St Wilfrid and St Hilda, and - admittedly - some of the bishops on the other side of the debate, have worked hard to ensure a continued ecclesial life for Catholic Christians within the Church of England. It would have been a great pity if the theological parts of CONSECRATED WOMEN had slipped into history, out of sight and out of mind, as they carefully relate the various arguments together in a way that is both positive and widely accessible. That is why the Church should be thankful to Dr Colin Podmore, Director of Forward in Faith, for editing FATHERS IN GOD, an excellent volume that incorporates those theological parts of CONSECRATED WOMEN (which had been edited by Bishop Jonathan Baker) as well as new articles and addresses by Emma Forward, Cardinal Kasper, Bishop Geoffrey Rowell, Dr Podmore and Bishop Martin Warner, with a foreword by the Bishop of Coventry. There is a new generation in what are sometimes now called the “declaration” parishes. These people were not around for the theological debates of 20 to 30 years ago, and some want to know the reasons why their parish doesn’t have a woman bishop or priest. FATHERS IN GOD needs to be made widely available. FATHERS IN GOD? is available from Forward in Faith. Go HERE for details. 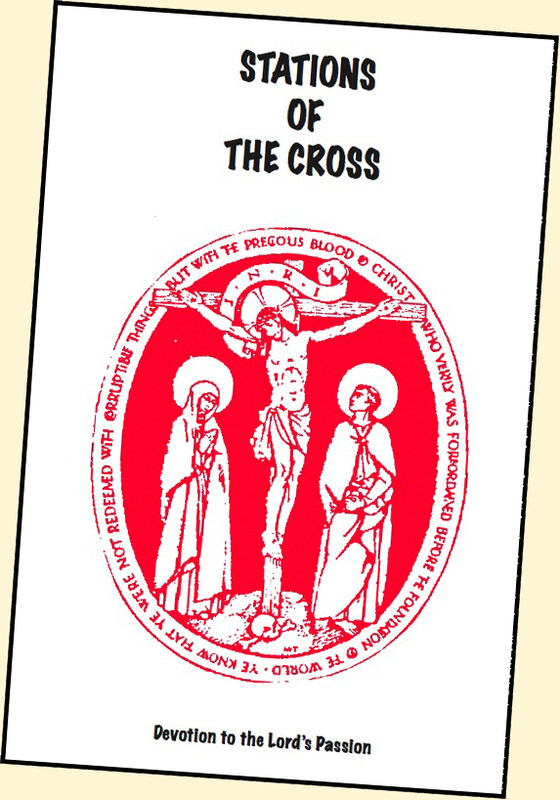 When I was the Parish Priest of Horsham - that is, the Horsham in Australia - I put together a user-friendly guide to Stations of the Cross, combining prayers, hymns and Scripture verses from a range of different sources. Nothing at all in it is original! But over the years it has been found useful with large crowds of people, small groups, and for individual meditation on the journey of Jesus to Calvary. I share it with you as a Lenten blessing. And HERE it is arranged for easy double-sided printing on A4 sized paper to be then folded and stapled, making an A5 booklet. She survived — and her love of God was tested and grew — through two World Wars, the Russian Revolution, and the Great Depression. She knew the pain of a broken marriage and the struggles of single parenthood. She knew the privileged life of aristocratic wealth, as well as the grinding poverty and uncertainty of a refugee. Through it all, her faith in God and her love for him remained intact and led her to work with the poor in small, humble ways, forsaking material comforts in order to do so. 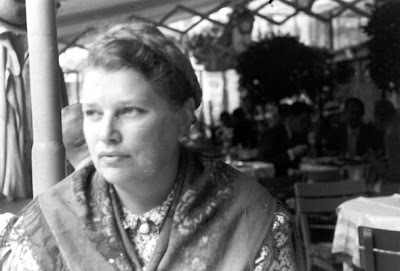 Her work in social justice in both Canada and the United States eventually led to the establishment of Friendship House, and later the community called Madonna House. You can read about Catherine Doherty, and the present ministry of Madonna House HERE. LENT begins today, ideally a subdued day on which we all go to church. 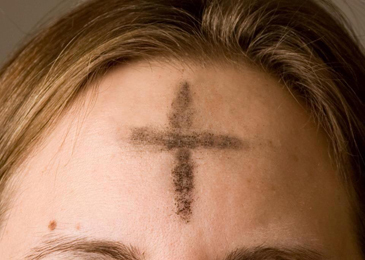 During today's Mass the priest marks our foreheads with blessed ashes, saying: "Remember O man that you are dust, and to dust you will return." These words are from the Genesis account of our creation and fall. The ceremony reminds us of the mortality and frailty of human life. Vanity and foolish pride are silenced by that terrible formula: "to dust you will return." We're not trying to be gloomy! We are just facing facts. In her wisdom, the Church does not pretend, or let us pretend that we do not die. During Lent the Church makes us face up to the dysfunctionality of our relationship with God, and on Ash Wednesday she forces us to come to terms with the fact of our mortality . . . that one day we will die. But she also points to what God, in his love and compassion, has done for us. Through the sin and the gloom a light shines - the light of Jesus, who came to give us "life in all its fullness" - and the Church points to that light. The very ashes placed on our foreheads, a symbol of the dissolution and decay of our material bodies, are, in the Anglican tradition, imposed in the form of the life-giving Cross where life conquered death and love conquered hatred. There IS a way out of the shadows - the way of the Cross and Resurrection, to which we journey during Lent, the "healing time" par excellence of the Christian year. So, dust and ashes we are . . . but not merely dust and ashes! In Jesus we partake in that new creation into which we are being transformed. the joy of returning home. Amen. to true conversion of heart. Amen. and enable you to celebrate with Christ the victory of Easter. Amen.